Over 5,000 people are expected to apply this weekend. MORE THAN 230,000 applications for Irish passports have been made to date in 2019. This marks a 30% increase compared to the same period last year. There were more than 860,000 Irish passports issued in 2018 – the highest number ever issued in one year. The Passport Office said there are a number of reasons for this increase in demand, including a tendency towards early renewal and an increase in the number of Irish people travelling. Over 70% of all passport applications last year came from the island of Ireland. Brexit is also playing a role, as British citizens are unsure of how leaving the EU may impact future travel plans. One in five (22%) of all passport application in 2018 were made by people from Northern Ireland and the UK. To meet the increased demand, the online passport renewal service was expanded in late 2018 to allow both children and adults to renew online. Seven in 10 applications are now made online. 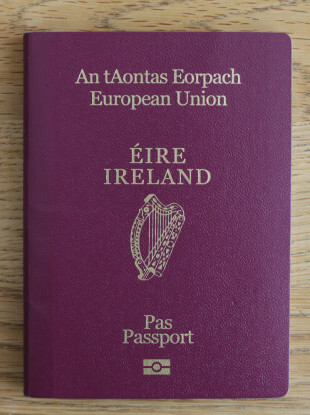 Tánaiste and Minister for Foreign Affairs Simon Coveney urged people to check that their passports are in date in advance of planning a holiday. Every year we get hundreds of cases of the parents being ready to go on holiday, bags packed, but the night before they realise one of their children’s passports is out. Coveney said “significant extra resources” have been given to the Passport Office to meet the increased demand, including hundreds of extra employees for processing and customer service. During St Patrick’s weekend in 2018, over 2,500 people applied using the online service. This figure is expected to be double that number this year. Email “More than 230,000 people have applied for Irish passports so far this year ”. Feedback on “More than 230,000 people have applied for Irish passports so far this year ”.